George Theiss takes the lead vocal on this song. 'With a little help from my friends' incorporates a brief instrumental rendition of "Winchester Cathedral". Bruce covered the song in september 1967 with the Castiles at the band’s second gig in the 'left foot' in Freehold. Only 26 minutes of the band’s 60-minute performance exists on the original master tape. The tape included 'one by one'. Keep in mind that only a small amount of setlists of the early years has surfaced, so it may have been played a lot more. One show, double bill, with The Castiles headlining. This was the band’s second gig at the club (see September 16). The 13-song mentioned setlist represents The Castiles’ complete performance at this show, in the correct song sequence. This was The Castiles’ final appearance at The Left Foot. Although having only opened in September 1967, The Left Foot’s popularity dropped dramatically in March 1968 when the larger, trendier Freehold Hullabaloo club opened nearby. The Left Foot closed for good in April 1968. 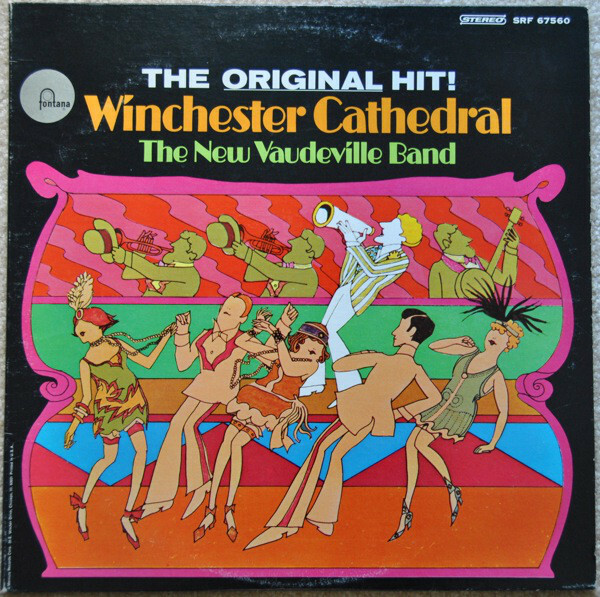 Winchester Cathedral" is a song by The New Vaudeville Band, a British novelty group established by the song's composer, Geoff Stephens, and was released in late 1966 by Fontana Records. Stephens was a big fan of tunes from the British music hall era (or what Americans would call "vaudeville"), so he wrote "Winchester Cathedral" in that vein, complete with a Rudy Vallée soundalike (John Carter) singing through his hands to imitate a megaphone sound. Although the song was recorded entirely by session musicians, when it became an international hit, an actual band had to be assembled, with Fontana trying unsuccessfully to recruit the Bonzo Dog Doo-Dah Band. Rudy Vallée, whose voice and style the original recording imitated, did his own cover of the song in 1967 when he was in his late 60s.